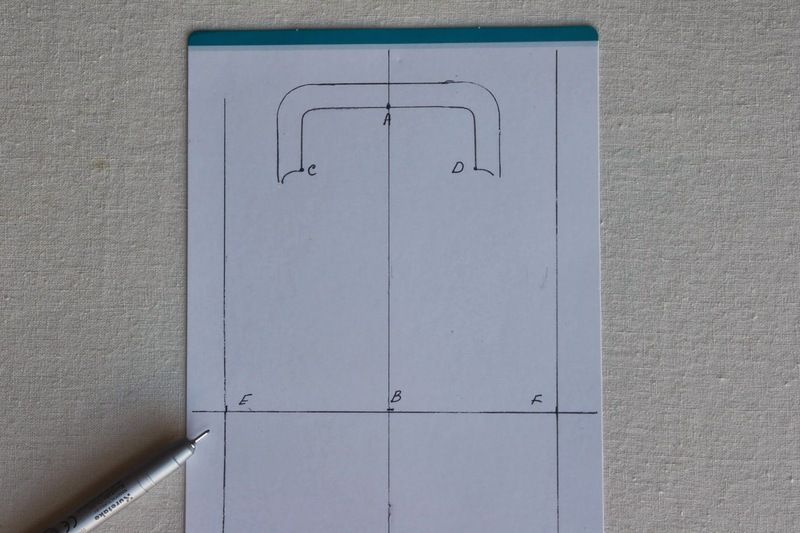 Before you start making your own kiss lock frame purses, you need a good pattern. The problem is that frames come in different shapes and sizes, so as purses themselves. This is the way I constructed a template for a small square kiss lock frame that I used for the purses below. 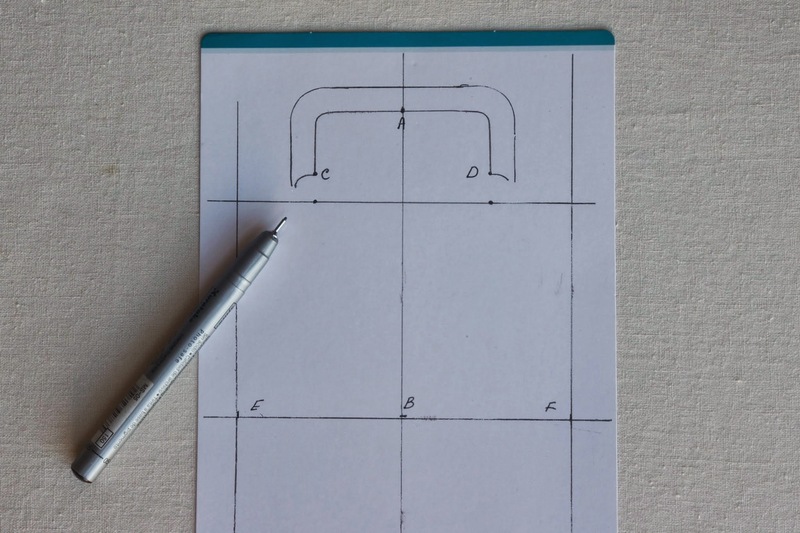 Once you construct your first template, it would be much easier for you to construct templates for any other shapes of frames. Making your own kiss lock purses is a lot of fun. 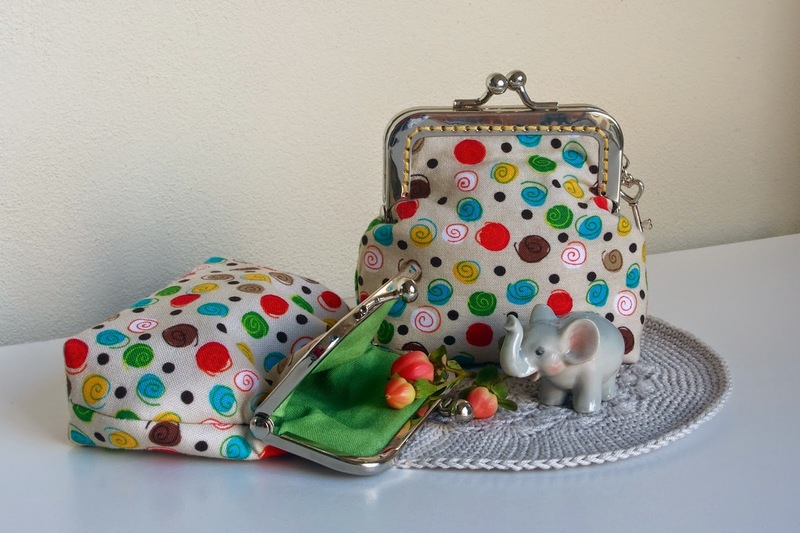 You get a chance to choose the fabric and the shape of your own little purse. 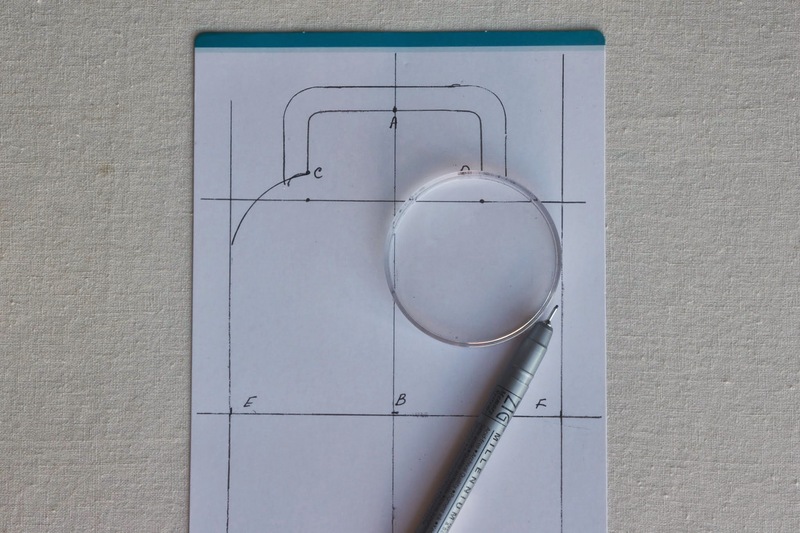 If you have a template, the rest of the process is not that difficult. The part of constructing the template might seem a bit complicated. Please read it through first, have a test run and I am sure you would be able to construct the template with ease. Step 1: Trace the frame on cardboard. Mark the middle of the frame. This is point A. Mark points C and D on the inner corners of the frame. 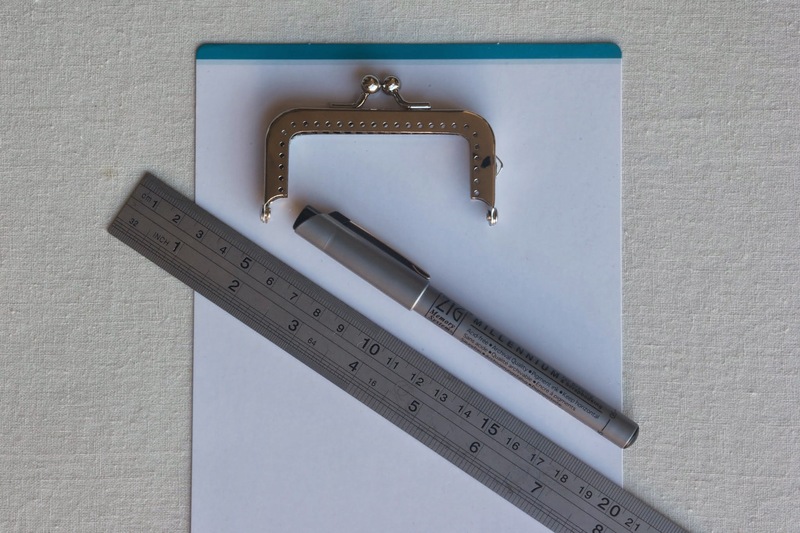 Measure 12 cm from point A down vertically, mark point B. 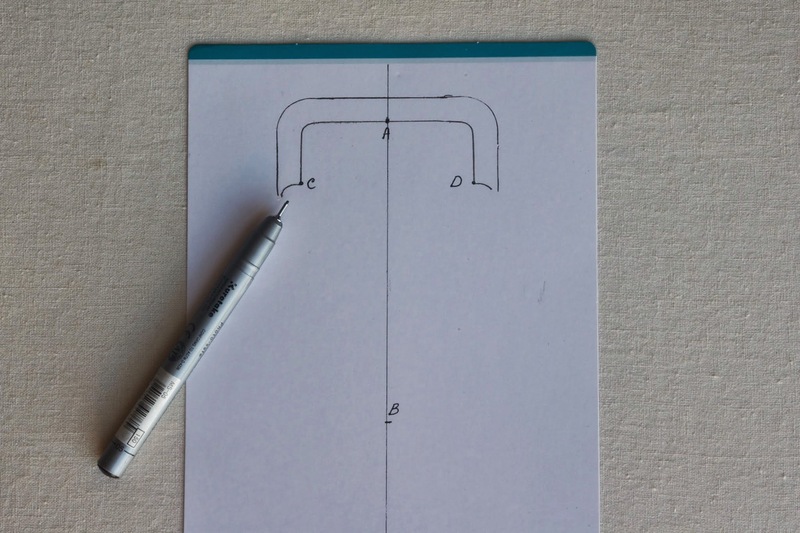 Draw line through A to B. Step 2: Measure 6 cm from point B to the left, mark E. Measure 6 cm from B to the right, mark F. Mark line through points E, B and F. Mark lines on both sides parallel to the middle line. Step 3: Measure 1cm down from points C and point D. Mark a line. 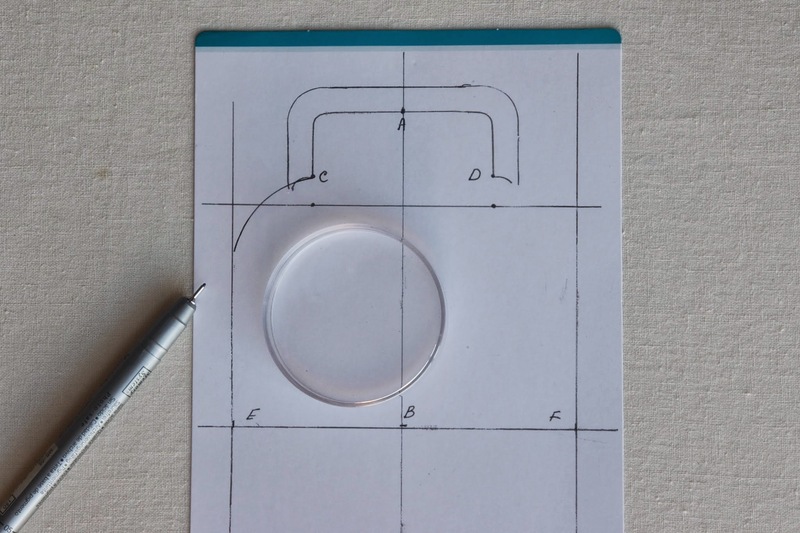 Step 4: Using a cup/glass about 8cm in diameter, position it so one edge of the glass is touching point C and the other one is touching vertical line on the left. 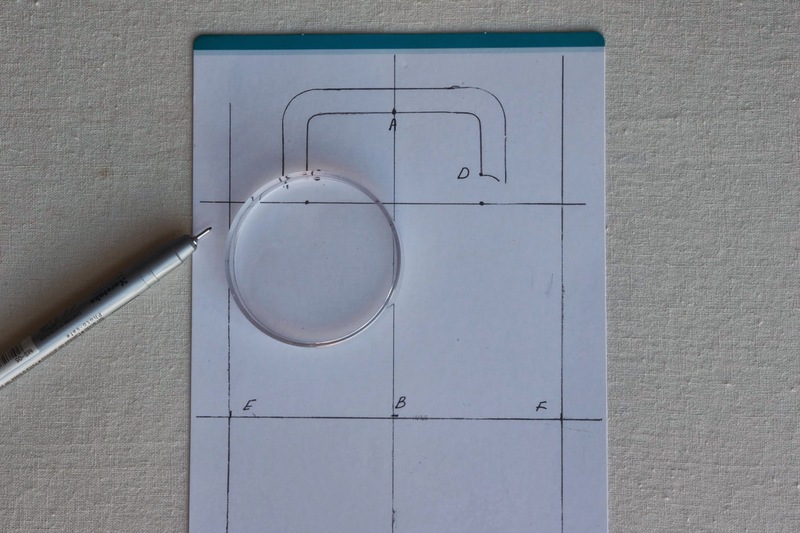 Connect the points by tracing the side of the glass. Step 5: Do the same on the right side. Step 6: Mark a line along the top inner part of the kiss lock frame. That's the line we are going to cut along. 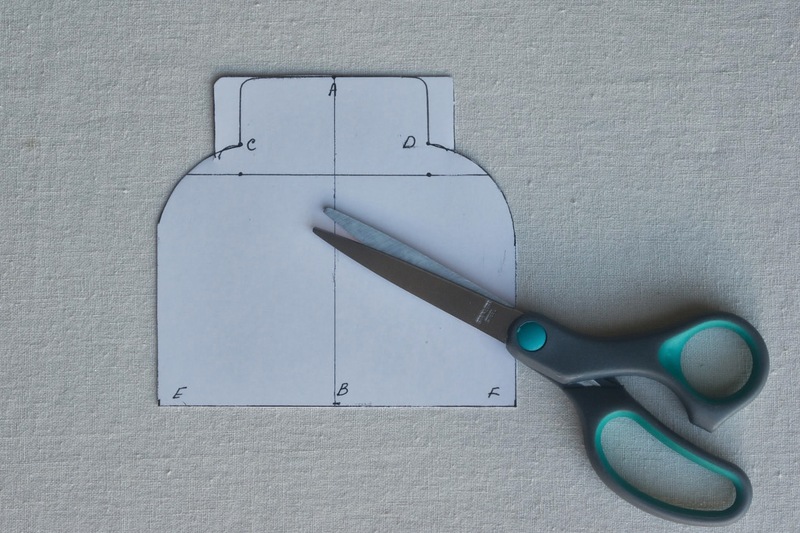 Step 7: Cut out the template. It's done and ready to be used. If you would like, you can use this tutorial for making your own kiss lock coin purse. Awesome! 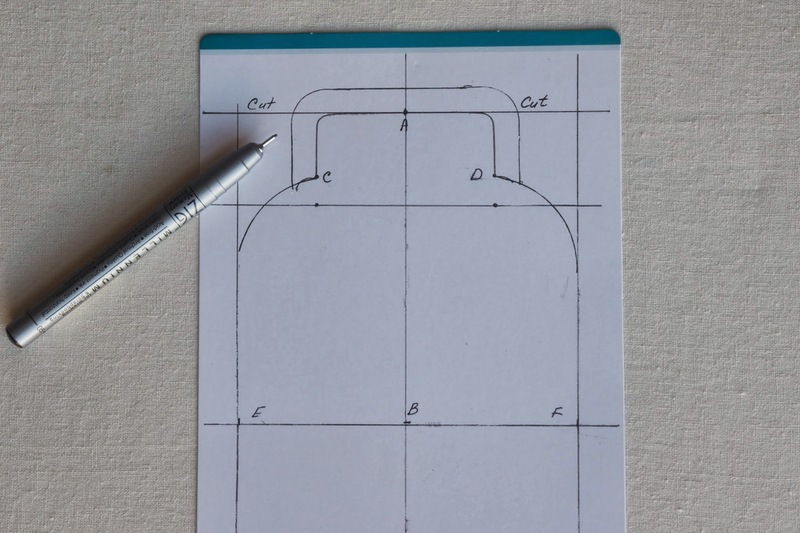 Thanks for demystifying the DIY kiss-lock purse template construction! I hope it helps. :-) It's easy to adjust the length and the width of the purse using this pattern. i have wanted to try this out because there are some pretty cute frames and it would be a fun scrap project. there are so many shape possibilities!! Absolutely! The possibilities are endless. It looked so complicated to me at first but once I worked out the template, it all became so clear and easy. Have fun!